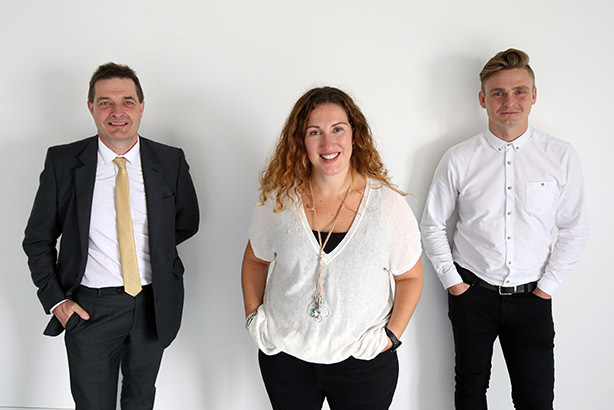 Independent Cardiff and London agency Working Word has gone through an MBO led by minority shareholders Caroline Holmes and Dan Tyte, part funded by Finance Wales. The deal sees the pair each take a 50 per cent stake in the business. Previously, both held 15 per cent apiece while Eoghan Mortell, who founded the firm in 1999, held 70 per cent, Tyte told PRWeek. Mortell will remain with the agency in a part-time consultancy role, while Tyte becomes MD and Holmes is made operations director. Both joined the firm in 2007. The deal came about as a combination of a lifestyle choice for Mortell, and a desire to continue the firm's digital transformation. Tyte said: "The future of the PR industry is an exciting place as technology continues to transform how people communicate with each other. We’re determined to be at the forefront of this and are in the perfect place to take advantage of the opportunities for growth in revenue that this presents." The firm's client list includes Principality Building Society – which Tyte said had been a particularly key client since it began sponsoring the Millennium Stadium, Wales' national rugby ground, last year – as well as Sanjeev Gupta's industrial conglomerate Liberty House, the Welsh Government, the Department for Environment, Food & Rural Affairs and BAFTA Cymru. Working Word has two fluent Welsh speakers among its staff and Tyte said Welsh-language campaigns were an increasing focus of the firm's public sector clients. The support from Finance Wales was provided through its MBO-specific Wales Management Succession Fund. The firm has 15 PR staff and two support staff, with the agency claiming to be Wales' largest. It said that profits at the firm had more than trebled in the past three years – although Tyte declined to give profit or revenue figures when contacted by PRWeek. Companies House shows the company having shareholders funds of £199,519 on 31 August 2015, but no revenue or profit figures, due to the firm's small company exemption. Other MBOs announced at UK agencies this year include William Murray, Connect Communications and The Big Partnership.